Nigella Lawson seems very keen on pomegranate juice and even adds it to her Eton Mess. Heat the oil in a large, heavy-based frying saucepan (with a lid) or a flameproof casserole. Finely slice each halved onion into thin half-moons and add to the pan along with the salt. Fry for about 5 minutes until the onion begins to soften but doesn’t burn; the salt will help to prevent it from burning. While this is going on, quarter the apples (no need to peel), cut away the cores and chop them roughly, and add them to the softening onions and cook, stirring occasionally, for another 5 minutes. Finely shred the cabbage and add it to the onion-apple mixture in the pan, stirring slowly and patiently to mix. Add the brown sugar and allspice and stir, then pour the pomegranate juice into the pan. Let the mixture come to a bubble, then give another stir, turn down the heat, put on a lid and cook very gently at the lowest possible heat for 2-3 hours, stirring occasionally. It really won’t get overcooked. Taste for seasoning only when you’re ready to reheat, as the flavours won’t have mellowed and come together properly until then. To reheat, put the pan back on the stone over a medium to low heat, stirring occasionally, for 15-20 minutes. 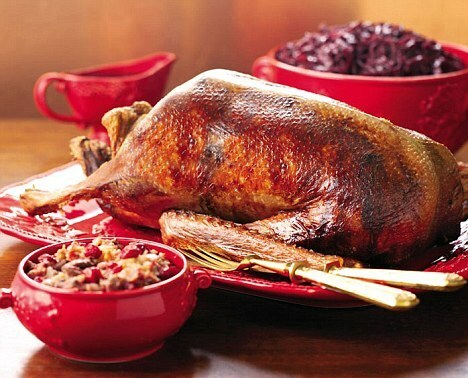 This entry was posted on December 30, 2010 at 10:23 pm and is filed under Food with tags allspice, christmas, dark brown sugar, maldon sea salt, nigella lawson, pomegranate juice, recipe, red apples, red cabbage, red onion, vegetable oil. You can follow any responses to this entry through the RSS 2.0 feed. You can leave a response, or trackback from your own site.